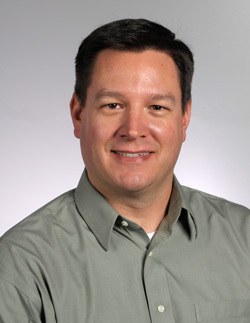 Dr. Spaeth grew up in Fort Collins, CO and Norman, OK. Dr. Spaeth completed his undergrad studies at the University of Oklahoma and received his Doctorate of Dental Surgery from the University of Oklahoma College of Dentistry in 2004. He spent three years practicing in Tucson, AZ before relocating to Colorado Springs. Dr. Spaeth and his wife, Meghan, moved to Colorado Springs in the fall of 2007 to start a family and become active members of the community. They have two children; a daughter, Anika and a son, Landon. Dr. Spaeth is an active member of the American Dental Association, the Colorado Dental Association, and the Colorado Springs Dental Association, and regularly attends continuing education seminars to stay abreast of the latest advances in dental techniques and materials. At Broadmoor Valley Dental Care you will get the personal service you expect from a dental office. Because we are a single doctor office, not a group practice, you will always be treated as an individual whom we consider to be part of the family. Dr. Spaeth and staff will provide you and your family with gentle, friendly, high-quality dental care.